Dice Tsutsumi is a machine!!!! Look at the pretty cool Sketchtravel short film he created while working full time and preparing for the Sketchtravel auction event. I have been told the book is sold out in France and I am not sure when it will arrive in the US and other countries. Who was lucky and already bought one? Here is some further discussion and infos on the Cartoon Brew blog. Low polygon modelling, opposed to “high frequency modeling” (the stuff done in Zbrush or Mudbox), is the basics of modelling. Any software can handle that type of work nowadays, from the free Blender to the extremely expensive Maya, 3dsmax or XSI packages. 1. A top-down approach where you start directly with a square plane whose edges you extrude following the final edge loops. 2. A bottom-up approach where you start modeling from a cube that you gradually subdivide by adding edges or extruding faces. Both techniques are so simple that they only require a subdivide toggling hotkey (3 in Maya) and a handful of tools which I featured in my ‘Low Polygon modeling tools’ post. If you are not familiar with modeling, what I did here was to put the original concept art on a plane in the background then create a second smaller plane whose edges I extruded following an edge flow mental picture I had. The edge flow being the minimum amount of flowing edges necessary to describe the muscles, skeletal structure or deformation of the surface. Whaooo that was complicated! Well instead of just projecting a grid of edges on the surface of the head, I am creating a minimal amount of edge loops and rings that follow the creases facial expressions will produce. Makes sense? Bay Raitt was probably the first one to fully demonstrate the Cube approach in that ground breaking 1999 “One afternoon with Bay Raitt” Mirai timelapse video. Interesting, the first Illumination’s “Lorax” trailer finally came out. 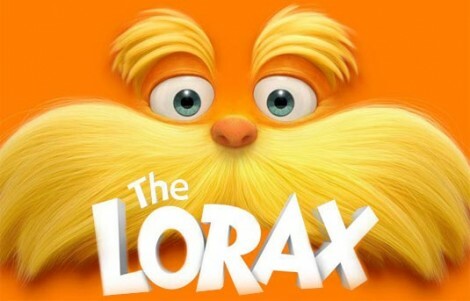 You will probably find some visual similarities with “Horton hears a Who” as “Lorax” is also based on Dr Seuss’ illustrated books and Maurice Nobel’s interpretation in that 1972 short film. Now “Lorax” seems to have a more lighted tone that the book and short film but it definitely looks much more serious than also Mac Guff produced “Despicable Me”. I hope it gets a good reception by the public. As noted by Sergio Pablos in that recent “Frame by Frame” interview, comedies are much safer to market and sell to investors and the wider audience. Illumination is taking a gamble by adapting the long time seen controversial Lorax book to the screen, let’s see if the aura created by Despicable Me and soon coming Despicable Me 2 will help to propel “Lorax” and Mac Guff to the level of an other studio known to regularly take similar gambles, namely Pixar, and establishes Mac Guff as a new solid player in that feature animation top 5. And here is the Maurice Noble’s art directed short film if you haven’t seen it yet. Check out that great and probably new Aardman CG shortfilm, it is so funny! Great visuals, funny quirky dialogues and sounds (cavemen with zippers, who would have thought!). I hope they do more like that one. This reminds me a bit of an old but great shorfilm by an other British studio “Studio AKA”, for the Natwest campaign. I can’t stand Flash websites…. how am I supposed to embed anything? 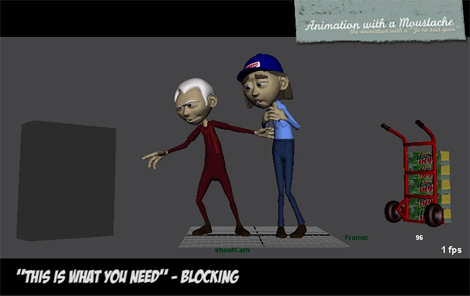 Out of the box, Maya is probably the most animation unfriendly software ever so every animators have their own set of scripts and hotkeys to palliate for Maya shortcomings and speed up their workflow. To be fair, I don’t use many but the following ones are true “life saviours”. Some of them are shelf script, others are triggered by Hotkeys. I haven’t cleaned up my Maya animation shelf for a while, the two first buttons were customized windows layout but I don’t use them anymore. LLuis Lobera’s make button, Justin Barrett’s Tween Machine, Zoomerate and Xsheet are the ones I mostly use. Michael Comet’s Auto-tangent is now a Hotkey as follow (bare in mind this is with my french keyboard, I use A on english keyboards). As I have been travelling a lot lately, I can only carry a 17 inch equipped laptop with me so full screen viewport and Hotkeys are a must. This is the script I use for Full screen switching by the way, the Maya built in hotkey (CTRL+spacebar) has been buggy on all the Maya versions I have used so far. 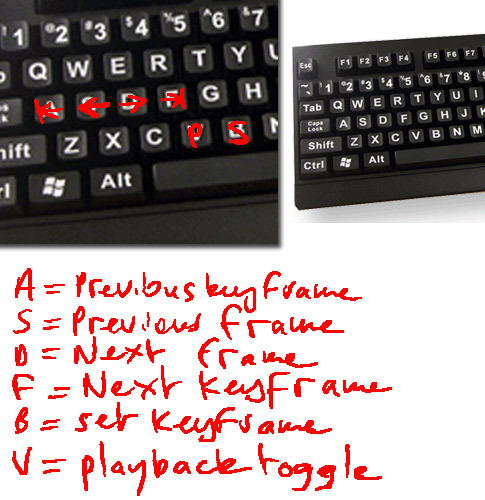 The Hotkey is alt + z on french keyboard, alt + w on english keyboard. This is my working window layout on a 17 inch screen in 1440×900 (yep it is a cheap laptop, no HD res here ;-)). 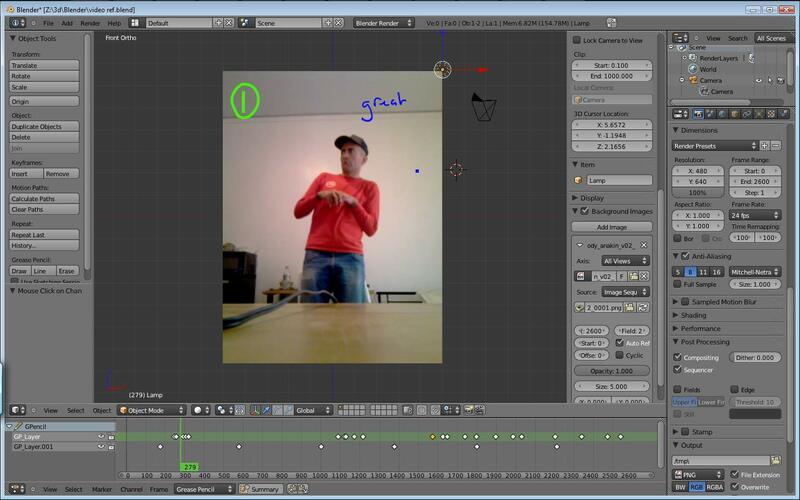 Camera view on the top left, Graph editor top right and perspective view underneath. The TweenMachine window is taking a bit more space than required but hopefully Justin will soon post a leaner version or maybe Autodesk will pay Justin to integrate his script to the next version of Maya ;-) The graph editor channels column is also taking more space than necessary, Maya doesn’t allow dragging the divider further (antiquated Unix legacy….). Right, that’s all I have time for today, I will add a Hotkey description in few days. My ex-coworker Ross Burt posted some of the character designs he created for Spare Parts. I was reading some articles this morning and realised few things. Five years ago, a successful game career involved joining a big corporation like Microsoft, EA, Sony. Five years ago 2d animation was dead. With the current recession, gaining full time employment at a major studio is pretty unlikely nowadays. 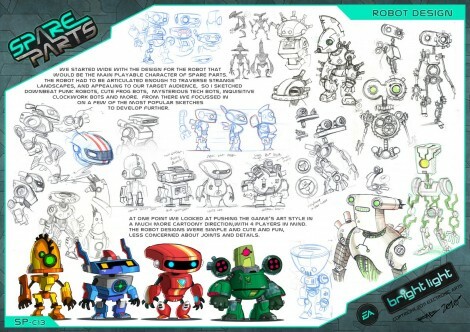 At best, most of them prefer to stick with contract workers as the market doesn’t allow a long term strategy at the moment but on the other hand, thousands of independent game developers are producing XBLA and smartphones games and applications, creating hundreds of jobs for senior and even fresh graduates in the field of, 2d animation, UI and concept art. As recalled in that ex Rare employees interview, if it wasn’t possible to make games for less than $10 millions and a team of 70 and upwards in the past, things have changed. Even the tools are now available and affordable making it possible for anyone to make their own independent games. What an exciting time! Most of those companies will soon grow to become the next leaders or get bought by the former ones hoping to get their glory back. Not all big corporations are taking the back seat though, Microsoft with XBLA was probably the first one to create an independent game developer ecosystem and empower creative artists and programmers. Without XBLA, Behemoth’s “Castle Crashers” would have probably never known the success it received. How many people had heard of Alien Hominid before Castle Crashers? An other thing I wanted to mention today is a very interesting move by Valve and Jagex. With the release of Team Fortress 2 for free to the public, I was wondering how the company could still pay for their servers but their strategy seems to be paying off as they recently announced a hefty profit for items creators. But what is in for the very independent artist? Well check out this article featuring legendary Bay Raitt. Ok there is nothing groundbreaking like his work on Gollum but one sentence at the very end of the article raised my interest for Team Fortress 2. 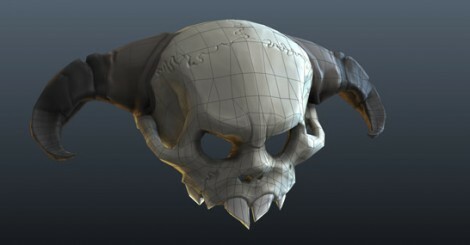 Making of a Skull hat. As much as I love the art style I don’t have time to play the game. Creating items for it could however become a source of revenue for the most successful artists. Imagine if your item became viral as Bay’s hat probably became? Check out that cool project from one of my australian subscribers, Jeremy Kool. 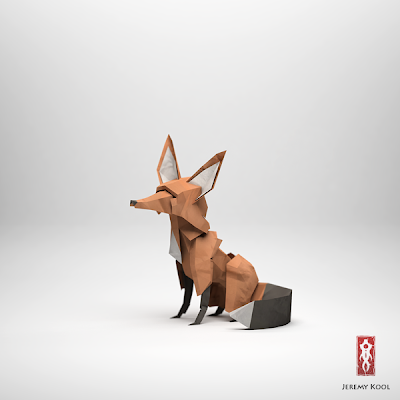 Jeremy is looking for funding for “Paper fox”, an interactive short film with a very non CG look. This is looking really nice. There has been several project in that style lately but I can’t get enough of it. Here is the blocking for my “This is what you need” shot. I also shot some new video reference footage for Anakin as the previous video wasn’t very strong or interesting. I am incorporating Blender more and more to my workflow as it has some amazing tools really suited to the Animation pipeline. Here I am able to write some notes on the video reference to single out some elements of interest. Other people like Jeff Gabor would edit their video reference in Premiere but I find it simpler and cheaper to use the Grease Pencil keys in Blender’s Dope Sheet editor. The box at the beginning is a placeholder for the boxed Darth Vader outfit. I might add 12 frames at the very beginning it just so the first cut doesn’t come so early. I ran out of time and didn’t manage to fully flesh out Anakin or even the facial poses but with the help of the video reference, I think we know exactly what I am aiming for. Christian Dan Bejarano from the great “Arte y Animacion” blog just informed me about a recent 11 minutes interview they recorded with Sergio Pablos. It is a very refreshing interview where Sergio explains what triggered his leaving from Disney. He talks about how animation is perceived in Spain vs the USA and how much of a challenge it can be to set up your own studio but as long as you take action, show persistence and learn from your mistakes, you should be able to reach your goals and Sergio Pablos with his involvement in Despicable Me, Titeuf, Rio and other secret projects is definitely proving this. He also mentions the kind of movies he would really like to make, using the Iron Giant and Ratatouille as examples, but explains that comedies are probably the easiest stories to market and sell. The failure of the beautiful Framestore feature “The Tales of Despereaux” could prove him right actually.